Manchester City is in great form in the ongoing season of Premier League. They already played 32 matches in the season where won highest 27 of them which makes them the top position of EPL point table. They could secure the EPL title this season earlier if they could manage a victory in their last match against Manchester United. But they faced defeat in their last match. So, it seems that Man City would wait to secure League title. 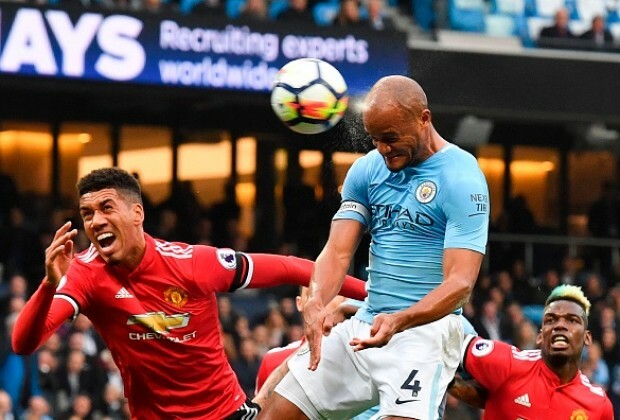 However, Manchester City has missed a chance to secure the league title by leaving highest number of matches in hand this season in English Premier League. At the home venue of Man City named Etihad Stadium, they also went ahead in the first half by 2 – 0 goals. The team of Pep Guardiola thought to secure the match but in the 2nd half, the calculation was messed up. Pogba scored pair of goals and so, Manchester United turned around and with an amazing victory, they left the ground finally. At Etihad Stadium in last Saturday, the local team was lost by the team of Jose Mourinho by 3 – 2 goals. In the ongoing season of Premier League, Man City faced defeat twice times totally. By playing 32 matches in the season, they have achieved 84 points so far. With 13 points behind Manchester United is in 2nd position. Just few days later, there are a most important match of the team Man City approaching. So, along with Kevin De Bruyne, Gabriel Jesus and two other players were out of the team which was managed by coach Pep Guardiola. All four regular players were benched in the match at the beginning by the suggestion of Pep. Sergio Aguero was also out of the best eleven who just recovered from injury few days ago. Though, some most important players were out of the team but at the first half Manchester City played very well. Sterling and Sane played amazingly in the 1st half. In the 5th minutes of the match, David Silva passed a ball but unexpectedly it was touched by Young into the box and City applied for penalty but referee did not give the sign. In 22nd minutes of the game, Portuguese midfielder Bernardo Silva took a certain shot which was stopped by United stopper. Just few minutes later, within the range of six minutes City took control of the match by scoring two goals. But in the 2nd half, they did not provide their best and as a result, within two minutes Pogba scored two goals. Smalling scored the match winning goal in 69th minutes of the game.